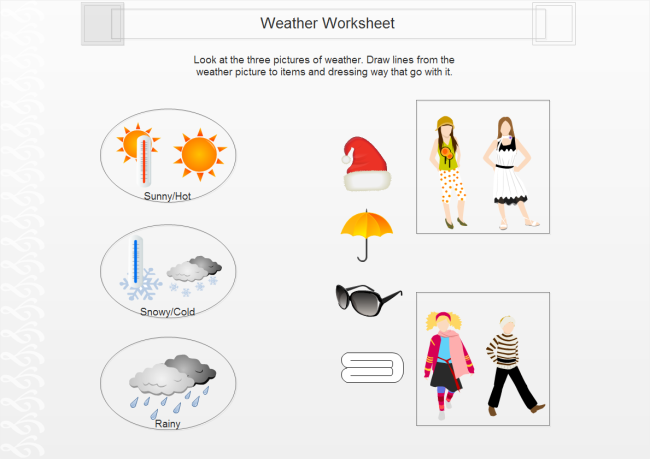 Perfect vector-based clip art drawing software with lot's of weather clip art! Edraw Max includes lots of clip arts. 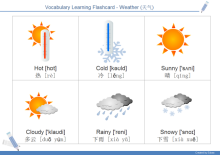 You can illustrates all your weather and personal projects with this easy to use software. You'll be able to personalize your business cards, greetings cards, header paper, menus, website and many more! 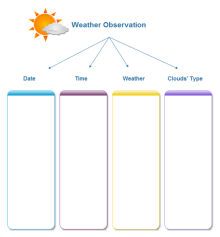 The following weather clip art templates encompass some weather shapes such as hot, warm, cold, sunny, cloudy, overcast, rain, snow, fog, wind, thunder storm, frost, freeze, dew, etc. Open Edraw. 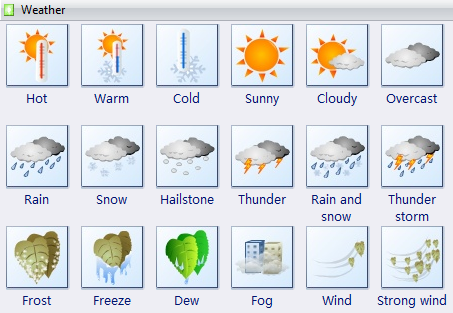 -> Choose Clip Art under File menu. 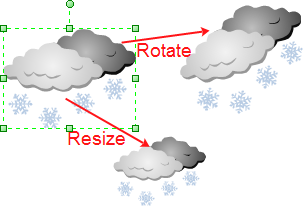 -> Double click Weather icon. -> Drag necessary shapes and drop them on the canvas. -> Drag the square handles to resize shapes and drag the round handle to rotate them. 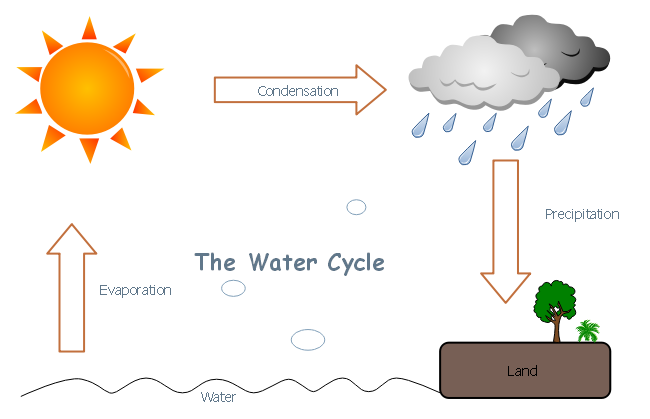 They can be inserted to other diagrams to make richer infographics. 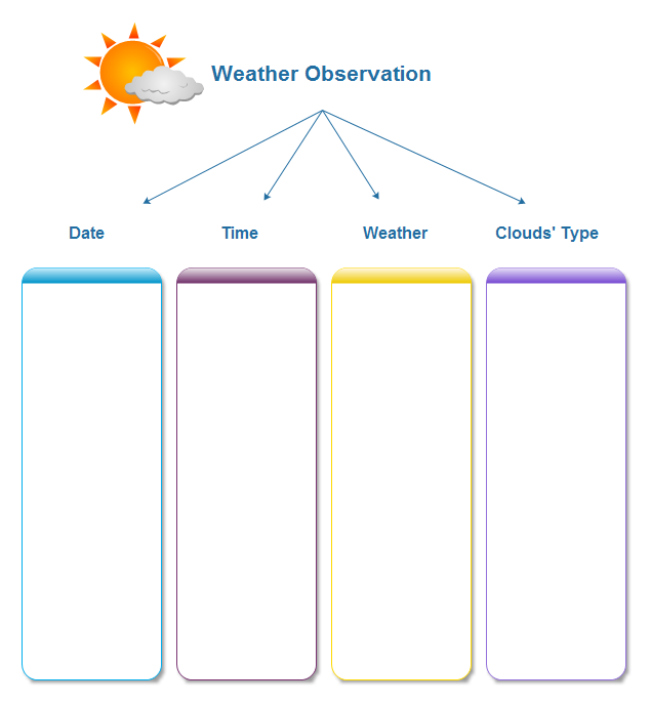 For example, several weather clip art combined with some other shapes can form a beautiful and funny worksheet. 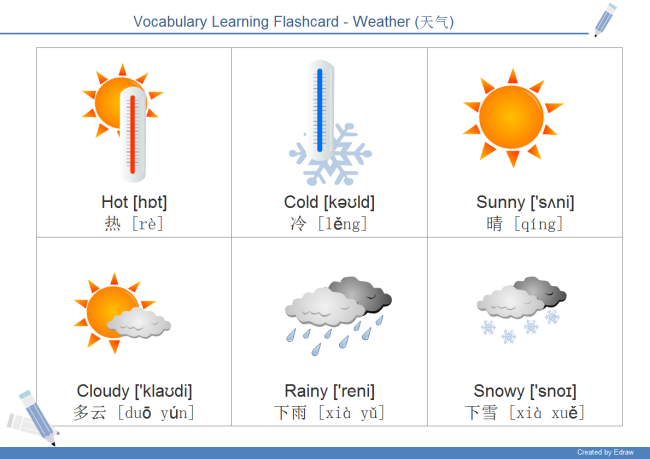 Check out the pre-formatted example below. Click the picture to download it for your own use.